Hi Glass Fan-atics, Today is Small Business Saturday, sponsored by American Express. 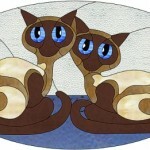 You can support your local Stained Glass Studio (like us! 🙂 ) that accepts American Express. Check out your area for small businesses here: https://www.americanexpress.com/us/small-business/Shop-Small/ Have fun!